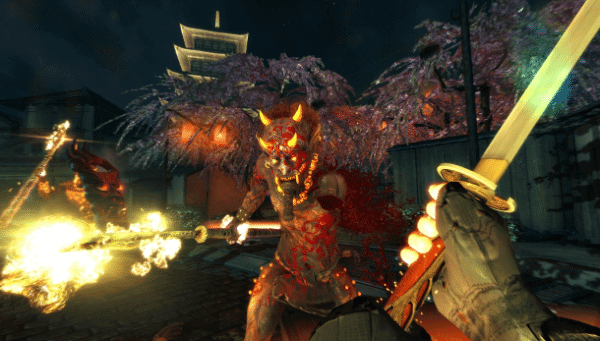 Shadow Warrior Review – Who Wants Some Next Gen Wang? 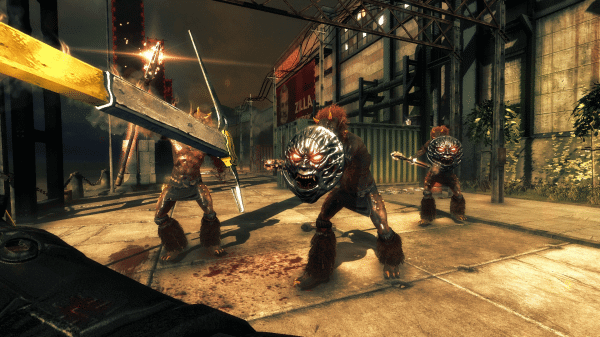 About a year ago I reviewed Shadow Warrior for the PC. It was a re-imagining of the original game which came out back in the mid-90’s. I rather enjoyed the PC version back then, and now I’ve been given another chance to sharpen my sword skills on the newly-released Xbox One version. 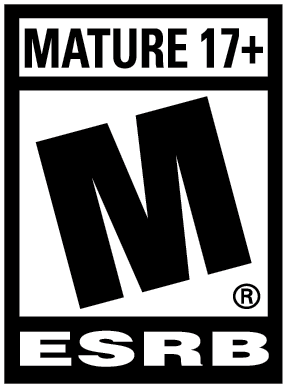 But does the port to a next-gen console work well? Read on to find out! First a little back story if you are new to the series. You play as Lo Wang, a hired hand of a prominent mob boss, who has been tasked with retrieving a special sword for his employer. It sounds like an easy enough job, but nothing is easy for Mr. Wang, and you will soon find yourself dealing with demons, hired goons, and ultimately, an end-of-the world scenario. However, you will be armed to the teeth with Wang’s trusty samurai sword and many guns which will be at his disposal. Not much has changed from the PC version. You start out with your basic sword, and it’s still a blast using it to dismember various enemies with directional sweeps of the left analog stick. Your sword is also a tool of sorts that you will need to use on certain objects in the game to unlock pathways. You also gain a large assortment of weapons in your quest for the sword – everything from double-barreled shotguns, flamethrowers, machine guns, and even some mystical weapons will be at your disposal. All of these weapons can be upgraded with the cash you find scattered and hidden in the environments. I really enjoyed maxing out my weapons to almost wacky proportions. There is nothing quite like blasting a demon point-blank in the face with a quadruple-barreled shotgun! In addition to weapon upgrades, Lo Wang also has his own set of upgrades for various skills. Throughout some levels you can find Ki crystals, which you can then use to unlock powers to aid you. Have a pesky demon that won’t stay still? Use “Water Trap“ to fling it into the air and hold it there so you can chop it to pieces with your sword. Find yourself surrounded by hordes of hitmen? Just blast them back with your “Tiger’s Roar” power and send them flying. When things got crazy, I really got into my collection of powers and had fun doing it. While you are slashing and blowing up everything in your way, you will be gaining Karma points. These points can be used towards other skills to improve your health, speed and numerous others. A thing to note is the best way to gain huge amounts of karma points is to be creative in your kills. Have fun and enjoy yourself, use your environment to your advantage – I sure did at times. One of my favorite tricks was herding large groups towards exploding tanks and barrels then firing off an exploding arrow before sitting back and watching the fireworks while giggling like a madman. The story is quite long, and deeper than I first expected. The game walks a careful line between serious moments and tongue-in-cheek nods to the player at the ridiculous situations you find yourself in. There are also many secrets to find, for completionists. Other than the main Story mode, the only other mode is Survival. Here you will face wave after wave of enemies that gradually get harder and more numerous. On the first wave you only start out with your sword, hand gun and no skills. As you defeat the waves you will gain new weapons and points to put towards your skills. This is a good place to practice your skills, and for those who just want to mindlessly hack and shoot baddies. The game runs about the same as it did on the PC, but I was slightly disappointed in that the load times between chapters is still pretty long. Also the transitions between one area and the next in levels is kind of jarring, as the game seems to freeze briefly. I did not expect to see this on a next generation console… you would have thought they would have smoothed things like this out before release. However, I can say I experienced very little slow-down when the action got hot and heavy on the screen which is a plus. To compare graphics between the Xbox One and PC there is not much difference from what I could tell. When playing it on my PC, I had all graphic settings running at the highest levels, and the Xbox One is pretty comparable. Many of the environments are beautiful, everything is crisp and clean, some very bright colours, lots of particle effects, and smooth animations. There is plenty of blood too, so you will not be disappointed there, and the way your sword cuts through objects and living things still gives you that rewarding feeling. Just as with the graphics, the game’s audio has not changed. Everything is still here, which is good because the game comes with some awesome music as you slash and blast your way through the game. This is one soundtrack that I’d like to add to my collection. From beautiful melodies when walking amongst cherry blossom trees, to fighting huge bosses in demon realms, the music all works really well. Voice work and writing in the game is still very amusing. I was still very entertained in the statements Lo Wang comes out with at various times, and with the banter back and forth with his demon buddy sidekick, Hoji. So in the end, does Shadow Warrior make a good addition to the Xbox One library? I think this is a worthy purchase – particularly for those who didn’t play the PC version – but I just wish the loading issues weren’t a factor, because they did take me out of the flow of the action from time to time. Don’t get me wrong, this is still a bloody fun game (no pun intended!). Those itching for some good, mindless hack, slash and blowing stuff up game, this is definitely for you.